The brain is far more susceptible to injury than many people think; more than five million Americans currently live with long-term disability from a Traumatic Brain Injury (TBI). The skull provides protection from direct contact (penetrating injuries), but the brain moves within the skull. All kinds of accidents can cause the brain to bump against the bony skull (closed head injury); falls, motor vehicle accidents, sports and assaults are the most common. For TBI victims and their families, a lot rides on whether they have the resources to get the treatment, therapy, assistive devices and other help that they desperately need. 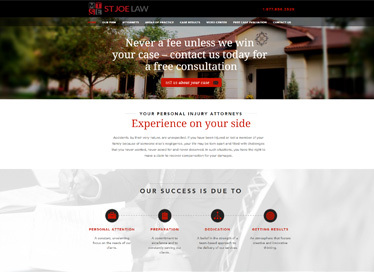 Whether they have those resources frequently depends on how successful their brain injury lawyers are in representing their interests. At the St. Joseph, Mo., law firm of Murphy, Taylor, Siemens & Elliott P.C., our 100 years of collective trial experience and our record of success speak for themselves and are available to speak for you when you’ve been harmed by another’s negligence or deliberate wrongdoing. Brain injuries can alter someone’s life, affecting physical and mental (cognitive) abilities, and often emotional stability. Even mild TBI can have long-lasting effects, and some 10 percent to 25 percent of all TBIs are estimated to be more severe than that. TBIs often affect short-term memory. This affects the ability to work and function in society and places a tremendous burden on the family and other caregivers. There is no comparison between a broken arm and a traumatic brain injury, which alters your ability to think, communicate, stand, walk … even recognize your children. Not every personal injury law firm is equipped to handle catastrophic traumatic brain injury cases. What kinds of accidents cause which types of injury? How will ordinary functions of life be altered? How likely it is that the injury will improve over time? How does the injury affect employment, social life, family life, etc.? How does the injury affect family members & caregivers? What treatment and rehabilitation options exist? We understand that many TBI victims face obstacles of memory, speech and thought impairment as they try to get the story and facts across to the lawyers who are there to represent them. At Murphy, Taylor, Siemens & Elliott P.C., our team of attorneys does everything they can to make it easier for our TBI clients. We take the time needed to get your story and understand your situation, and we have the resources to fight for your rights against whoever put you in this position — even rich and powerful companies. No amount of money can truly compensate for a serious TBI, but life with a TBI and no money can be unbearable for the entire family. TBI victims and families face incredible pressures in the face of injuries that go to the core of the victim’s identity. At the same time that medical costs are climbing, the entire family routine has been upended, and you are facing the prospect of fighting the people who caused all these problems. Get the help and support you need for yourself or a family member. Start by calling us for a free consultation.